The Homeschool Buyers Co-op is pleased to offer a GroupBuy for an annual Home Account subscription to Grammaropolis and their award-winning Album & Video Digital Collections. By joining this GroupBuy, members save 50% for a subscription for up to ten children in the same family. Take a Trip to Grammaropolis, where Grammar lives! Created by a writing and language arts teacher, Coert Voorhees, Grammaropolis is a new way to learn about the parts of speech based on an innovative story-based approach. 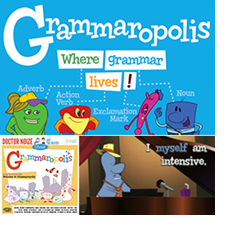 Hailed as the Schoolhouse Rock for the 21st Century, Grammaropolis features the parts of speech and punctuation marks as animated characters with personalities based on the roles they play in the sentence. Those characters star in books, songs, videos, and quizzes. 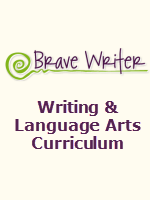 Because the parts of speech are personified based on their roles in the sentence, students can visualize and internalize the roles of the parts of speech to identify how a sentence is put together. Combining this character-based content with more traditional quiz-based assessment, Grammaropolis is designed to address students' varied learning styles and also provides performance tracking for each child. 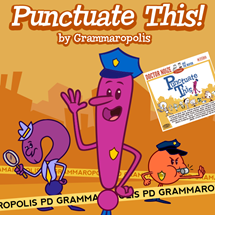 Grammaropolis is pleased to announce the availability of their award-winning Album & Video Digital Collections, including Grammaropolis, Punctuate This!, and a special Bundle of both collections for Co-op members. You are welcome to purchase these separately from the Grammaropolis Annual Home Account subscription to take with you anywhere (downloadable mp3 (music) and mv4 (video) files)! 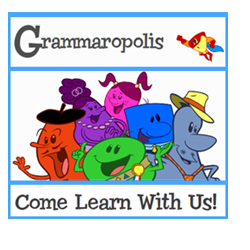 Watch the video at the top of this page for an introduction to Grammaropolis. 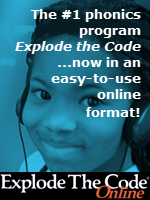 If you'd like, you may sign up for a free trial, which includes access to content in the Noun Neighborhood and introduction to the Punctuation Department to see if this product is right for your child(ren). 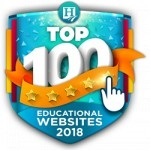 Grammaropolis works best with the most recent versions of the following browsers: Firefox (version 11 and above), Chrome (version 18 and above), Safari (version 5 and above), and Internet Explorer (version 8 and above) so be sure to check your browser version before ordering. Fulfillment: Within 15 minutes of placing your order, the Co-op will publish a special Coupon Code in your Co-op account that you can use to get your subscription at the Grammaropolis website for no additional charge. 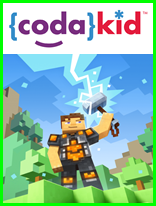 Sign in to your Co-op account and look on your "My Subscriptions" page for instructions, the Coupon Code, and a link. Your Annual Home Account subscription will begin the day you register on the Grammaropolis website. You will be able to download any Album & Video Digital Collection on the day you purchase. Refunds: As this is a special group purchase, you cannot back out once you place your order. If you'd like, you may sign up for a free trial, which includes access to all the content in the Noun Neighborhood and introduction to the Punctuation Department to see if this product is right for your child(ren). Service Fee: The Co-op will charge a one-time, nonrefundable service fee of $1.95 to help cover our costs of providing this service. The full-length Grammaropolis album, which includes the Sirius XM Top Ten hit "Welcome to Grammaropolis" and songs for every part of speech... even Slang! 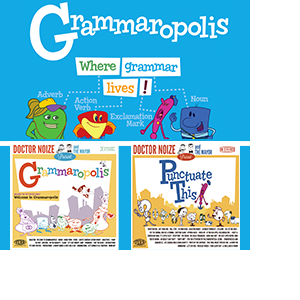 Not only will these songs and videos help to re-enforce your child's understanding of grammar and complement the Grammaropolis Annual Home Account Subscription, but she'll also enjoy listening to different musical genres for every song! You do not need to purchase the Grammaropolis Annual Home subscription to purchase this product. Note:You will download a zip file for fulfillment and once extracted, the mp3 (music) and mv4 (videos) files are 2.55 GB. The full-length Punctuate This! album, which includes songs for 12 punctuation marks, plus bonus songs for the parts of the sentence, misused words, and more. Not only will these songs and videos help to re-enforce punctuation understanding and complement the Grammaropolis Annual Home Account Subscription, but your child will also enjoy listening to different musical genres for every song! Note:You will download a zip file for fulfillment and once extracted, the mp3 (music) and mv4 (videos) files are 603 MB. Not only will these songs and videos help to re-enforce your child's grammar and punctuation understanding and complement the Grammaropolis Annual Home subscription, but he'll also enjoy listening to different musical genres for every song! Note:You will download a zip file for fulfillment and once extracted, the mp3 (music) and mv4 (videos) files are 3.1 GB.